Sometimes you meet someone who you just click with. Someone who you feel like you have met before. Perhaps it had something to do with the fact we were both photographers, and both passionate about what we do, but I don’t think so. A click is a click with or without a common passion and cause. On the surface we seemed to have very little in common photographically speaking, but five minutes of conversation soon put that notion to bed. After all, talent is talent and passion is passion. One thing though that struck me immediately was the knowledge that Sara was going places. She had the drive, charisma, aura and momentum of someone who was going to succeed, and succeed on all levels, professionally and artistically. And so to Magpies, Sara’s latest venture. 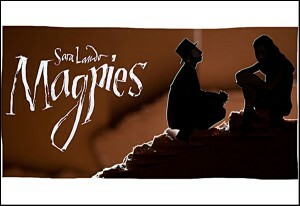 I will not even attempt to describe where it comes from or what it is about…Sara does that herself on the Magpies site. 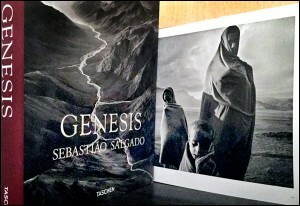 All I will say is that it is a 150 page long graphic novel of immense beauty and hard work. The process for me is what stands out, as well as the stunning final result. Sara photographed the characters – ‘real’ people – then printed the images, cut them out, stuck them to cardboard, made 3d models and placed them in miniature sets…for each frame…with stunning results. It is either the work of a genius or a madman…who cares which…and reminds me of the work that goes into stop-motion animation, from the original, classic 1933 King Kong to the more recent Fantastic Mr. Fox. Please go and have a look at the website – you will not regret it. View Sara’s photography site here.